Islamabad (Mehtab Haider / TheNews / Saturday, October 27, 2012) – Dr Ishrat Hussain-led committee constituted to remove distortions in public sector salary structures has asked the government to create fresh pay scales in order to remove the existing anomalies and has refused to become party to any cosmetic measures, said officials on Friday. “We have conditioned the finalising of the committee’s recommendations on the removal of existing distortions because just lip service will not serve the purpose,” said Husain. Husain said that the committee will meet after Eid to review the work done by the provincial governments for putting in place fresh scales for employees. “Civil service reforms cannot be achieved without putting in place a merit-based policy and a result-based incentive structure,” he maintained. The committee has also criticised the government’s flawed monetisation policy for transportation. “The car monetisation policy of the government has not been put out in the spirit it was conceived by the last pay committee,” said Husain. “Although the government claimed it reduced expenditures by implementing the car monetisation policy, it would have done much better had there been ownership of these reforms.”An example of the distortions in the implementation of the transport monetisation scheme, say sources, is the fact that drivers for monetised cars are still claiming overtime allowances. 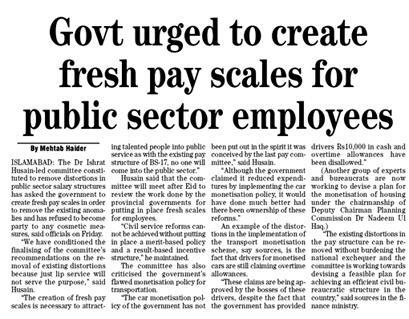 “The existing distortions in the pay structure can be removed without burdening the national exchequer and the committee is working towards devising a feasible plan for achieving an efficient civil bureaucratic structure in the country,” said sources in the finance ministry. Suna tha k pp dour sarkari mulzmeen k liye sunehri dour hota hai. Lakin is dour main mulazmeen ki taraf koi twju nahin di gai. PP hkumat se guzarish ha ab jab aap k pas chand haftay reh gaye hain to plz hum mulazmeen k liye bhi kuch kar jayen. to 1 bar keh dain k aisa mumkin nahin hai. august se dates di ja rahi hai aaj ho ga kal ho ga.
Keh dain nahin kar saktay ta k mulazmeen aas to na lagaen aap se kuch karnay ki. Kuch krna hai to hum mulazmeen aap k liye dua goo rahen gaye. Nahin karna to bhi hmen bta dain k nahin ho sakta.But jaldi. Hmaray jazbat ko thaes na phnchaen. Agr possible hai to unified pay scale ka elaan kar dain. Nahin possible to clear kar dain. Dr ishrat sahb ki comitee kahan gai?…………? Suna tha eid k foran bad meeting hai. Eid ko bhi 17 din guzer gaye lakin comitee meeting ki koi nwz nahin. Provinces ko shamal kya tha. Lakin sab ny inkar kar diya k hum bhoj bardasht nahin kar saktay. Us k bad koi news nahin hai. O yr kia bana hay salary ka ye meeting kab khamat ho ata nahi hay gahair ma PPPPPPPPPPPPPPPPPPPPPPPPPPPPPPPPPPPPPPPPPPPPPPPPPPPPPPPPPPPPPPPPP Kuch nahi karti. last meeting 28 Oct 2012 ko ho gai hai jis m provinces ne inkar kar deeya hai k un k pas wasail he nhi. ab jo agle budget se pehle koi umeed lagai ga wo koi pagal he ho ga. is leeye bhio sabar sabar or sabar till June 2013. 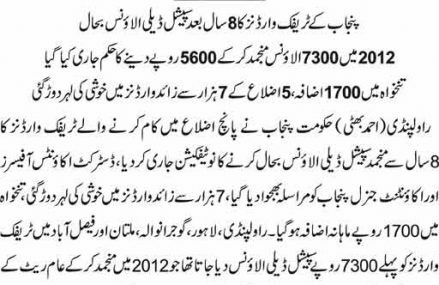 Salary package must be similar at federal and provincial level. please tell me next meeting date if anyone knows. o Jadoon bhi tum ko to pta ho ga? o bhai sb main next meeting ke date pooch raha hun. ho gi? kab ho gi? ya nhi ho gi? Aaaj jang or mukhtalif newspaper’s main ye khabar aii hui hai,k government nai pay scale revise karnai ka asooli faisla Kar lya hai,or 1 January 2013 sai sarkari mulazmeen k pay scale revise hojaingai.nigran government k anai sai Pehlai or elections main qamyabi hasil karnai k lye govt pay scale revise Kar dai gi..
zulfi kahan parhi aap ny ye khbr. Main ne newspaper parha tha kahen news nahin thi is comitee ki. Check Jung Urdu Front page of 5th Nov 12.
or Daily Ummat Karachi 4th Nov 12. Umer main ny to aisi nwz ni parhi. Aap k pas hai to fwd kar do plz. kia koi janta hai k ab committee ke meeting kab ho gi. suna tha k eid k bahd decision ho ga or 01 Dec 2012 se implimentation ho gi. pleeeeeeeeeeeeeeeeeeeeeeeeeeeeeeeeeeeeez update about this. bahe sb next meeting november ki kis date ko hai. reply…. if Govt not unified our scale or not made Fresh scale then we will start selling our babies on OLx.com.Pk requested to All government employees start selling their babies on 01-12-2012. I shall be thankfull to you. Mere payare dosto agar hamara ye UPS ka case Suprem Court me chala jaya tu Chief Justice Insaf kare ge or hame back date se jo log double pay letay hay hame be os date se pir milay gay. FIA ki slaray bhi increase ho gai….Rs 31000 for BPS 18 and 19…..etc….Source jang Rwp…. Pensioners joo ais waqat booth poor conditions main hain un kay liay govt:koo chaiay kay 100% pensions main azfa karay quninkay mengai kii waja say yay mazloom tabqa bari muskal say guzar awaqat karata hay. Plz.it is my humble request that kindly stop this type of drama and do not play with their emotions. sary mulk main aik jaisy pay scales hony chain . pay scales ko educational base per hona chain. jiss job per bhartee keliee jo degree mangee jaey us degree ke base per us ko scale dia jaee.istarah se sab scale braber ho jaieen gay. Mere pyare dosto ye sab joot hay koi UPS nahi hay. ye sab drama hay employees ko doka de rahay hay. Allah se mango is se kaya mangtay ho jo hood dosro se mangta hay. Allah sab ka malik hay. Allah he sab ko roze deta hay. Allah pak sub par apna karam karey or jo bi ho us ma sub k liye bhalaye or khairiat ho. Dr. Ishrat sahib AOA Bs ap roz jhatkaa lga datay ho. Aik hi jhatkaa lga lo. agar ap sy koi sincere ha to theek nhe to saaf keh do k nhe ho skta. have been called in May 2012. Dr.Eshrat Hussain if u realy sincere in removing distortions and anomilies in various public sector departments employees pays it is necessary that all the extra allowances of some departments should be abolished and unified pay structure be offered throughout pakistan. 2.Deputation from one department to another should be banned and the past such practises should be declared illegal. 3.Car(not a single car dozen of cars) to the ministers,fedral or provincial secretaries,Commissioners, Adittional Secratries,Dcs,Deputy Secratiries,Acs,Section officers,Directors,Adittional Directors,Deputy Directors and even to Asistant Directors and P.As of ministers should be prohibited and instead lump sum amount should be payed to them for car rent and fuel so as unlimited phone facility should be banned and a fixed amount be payed to them. 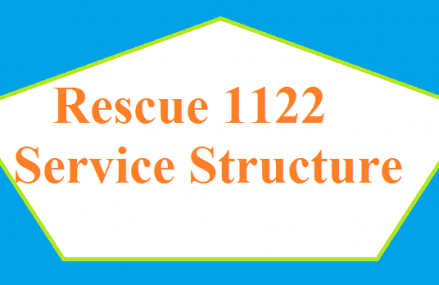 4.furnished houses should not be given to govt employees rather a fixed amount for house rent be surrendered to them. 5.T.A D.A should be decalred null and void.if Dr.Eshrat Hussain realy wants to save national exchequer from rough use and injust wastage of it he must consider these suggestions rather strictlt direct government to implement them in its true spirit. Agar ye ups decision hojata he to lower scale employees k liye is se bari khushkhabri koi nahi or Eid ka maza bhi dobala hojayega .